Missing out on a Kickstarter is no fun. No exclusives. No special pricing. It's a bummer. Thankfully, there's Late Pledge times for many campaigns. And that's what we've got here. 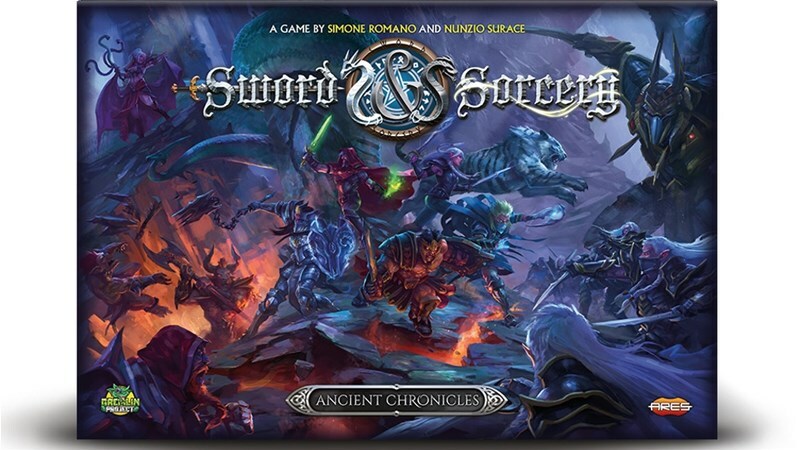 Ares Games has opened up their Late Pledges for Sword & Sorcery: Ancient Chronicles. Don't miss this last chance to get in on all the good stuff. The next game in the legendary Sword & Sorcery line is up on Kickstarter. Ares Games has launched their campaign for Ancient Chronicles. This new stand-alone game for 1-5 players takes players into events that happened before the Immortal Souls game. However, while the game is stand-alone, it's also 100% compatible with other Sword & Sorcery games. So, if you've got a particular hero you love to use or a villain you love to slay, you can port them right on over. Ares Games is pleased to announce a new game in the Sword & Sorcery line of cooperative fantasy board games. It's called Ancient Chronicles and it's a new "expanshalone." That is to say, it is it's own stand-alone game, but it's also 100% compatible with Immortal Souls. So if you've got that one, you can bring heroes and gear over. Or, if you're new, you can use this as a new jumping-on point for the series.